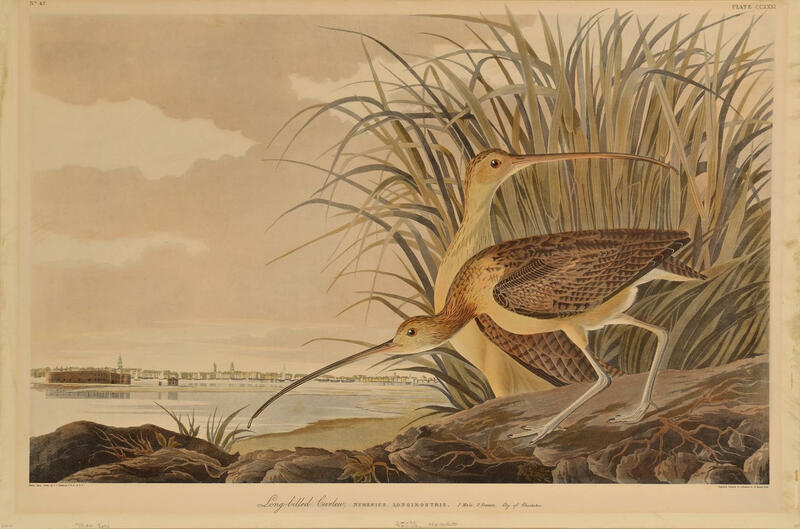 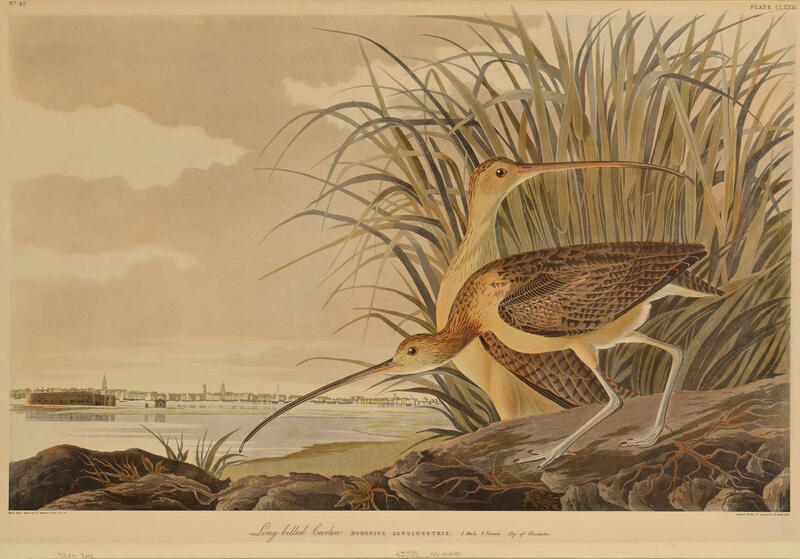 After John J. Audubon, early 20th century hand colored lithograph of the Long Billed Curlew, with view of the Charleston, South Carolina waterfront in the background. 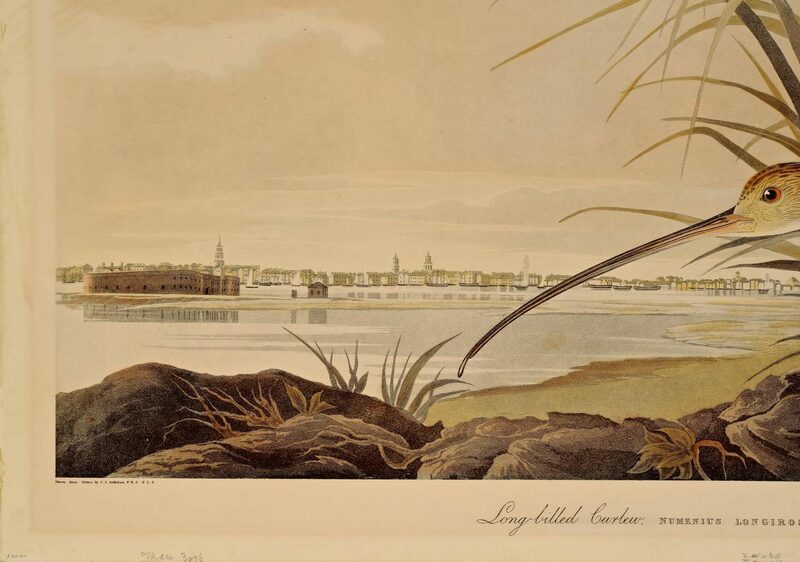 Image – 22" H x 34-3/4" W. Sheet – 24-3/4" H x 37-3/4" W. The view of Charleston includes Castle Pinckney, and the strip of land in the foreground with birds is thought to be Sullivan's Island. 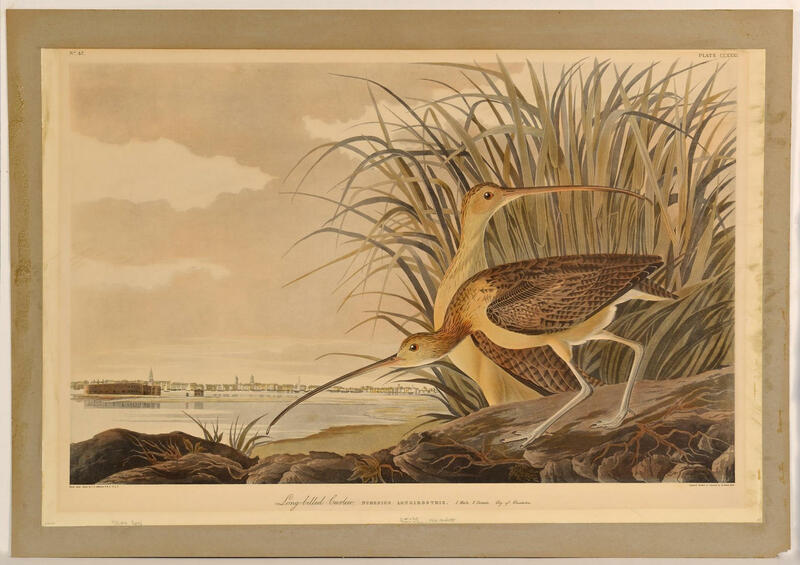 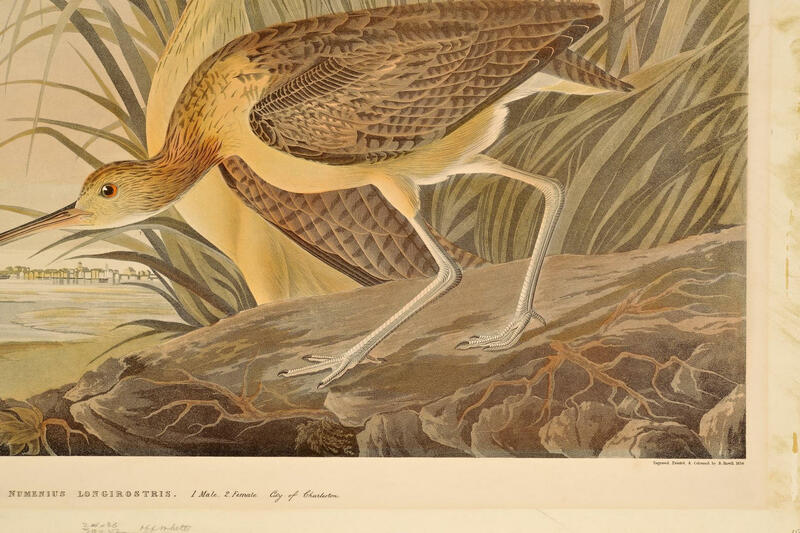 It is one of only three Audubon Birds of America prints that include views of human settlements. 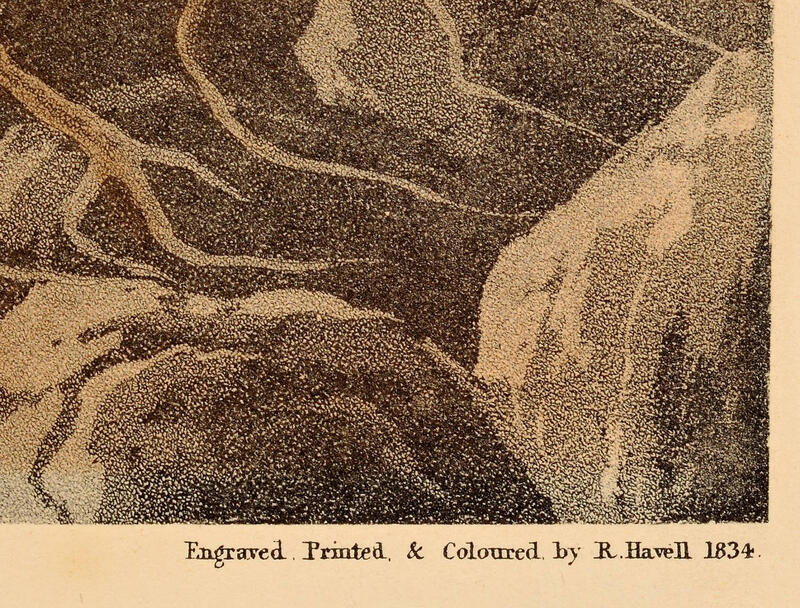 Provenance: Descended in an old Tennessee family. 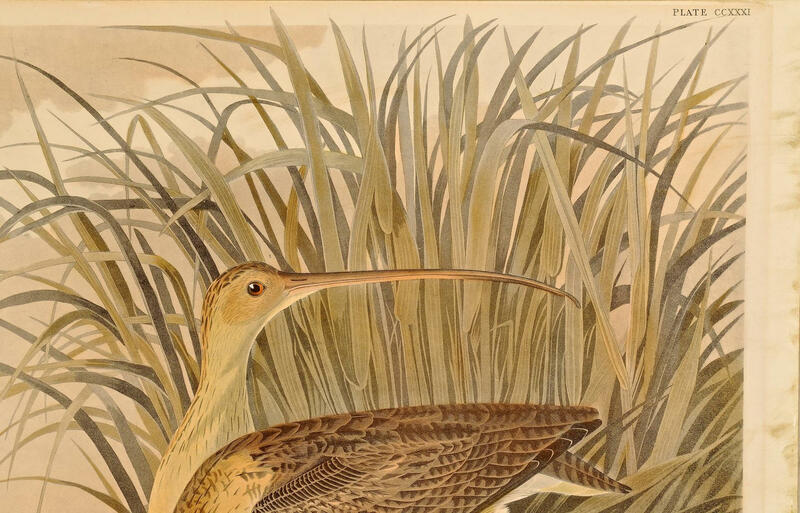 CONDITION: Fading; margins probably trimmed; sheet has been mounted on binder's board with unknown mounting tissue. 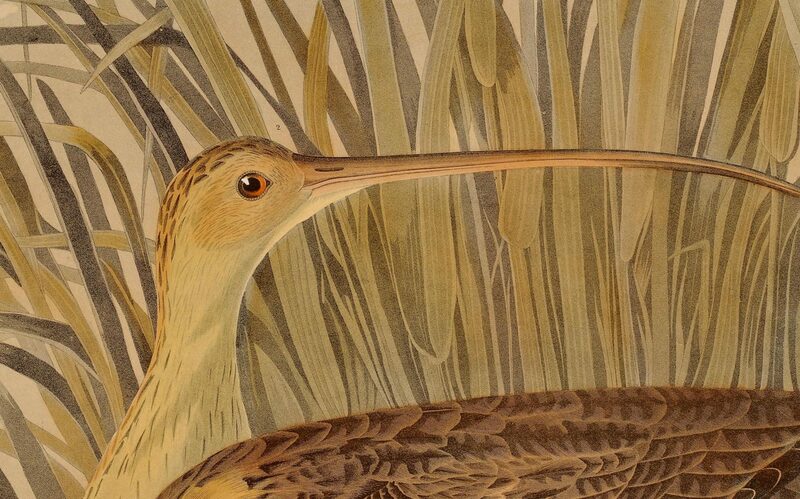 Hide glue residue on binder's board perimeter. 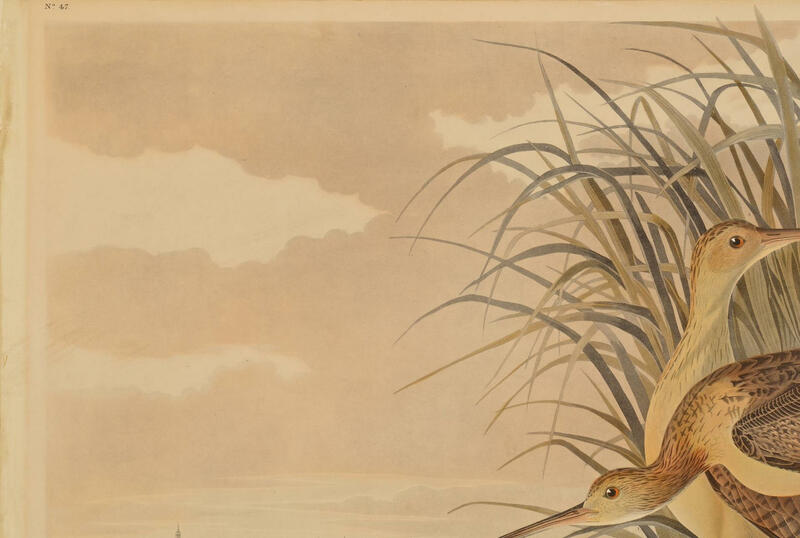 This item has not been restored and is offered in "as is" condition.